The No. 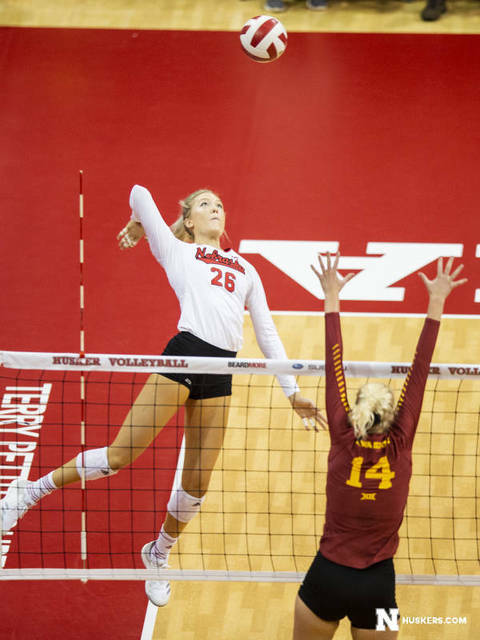 7 Nebraska volleyball team swept Iowa State, 25-22, 25-18, 25-16, in front of a crowd of 8,108 at the Bob Devaney Sports Center on Sunday afternoon. The Husker volleyball program also retired the jersey of Sarah Pavan, one of the most decorated student-athletes in NCAA history, after the match. A four-time AVCA All-American and a two-time Academic All-American of the Year, Pavan became the ninth Husker in school history to have her jersey retired.